During the 1950s and 1960s the architectural division of the Ministry of Works designed several modernist government buildings. 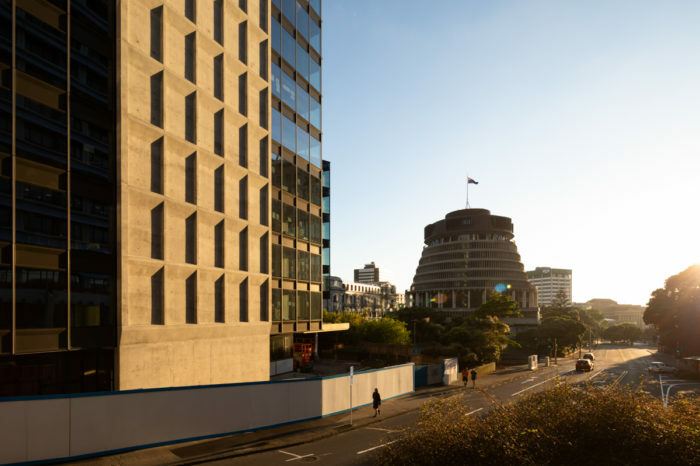 This included Bowen State Building which opened in 1962, named after Sir George Bowen, Governor of New Zealand from 1867 – 1873. Work began in November 2016 to redevelop Bowen State Building into a modern, efficient and cost-effective workspace for the public sector. Scheduled for completion in quarter three 2019, Bowen State Building is leased until 2037. Bowen State Building is a 10-level office building, with two basement levels, ground and 10 upper levels. 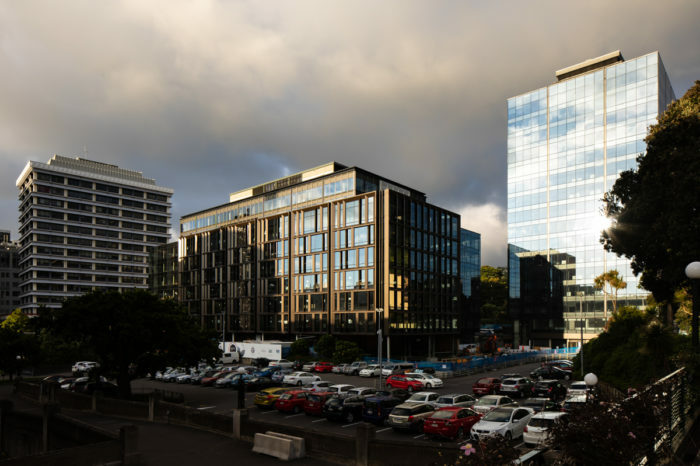 The redevelopment includes an 8,500sqm extension to the eastern side of Bowen State Building, taking the floor plate from 1,440sqm to 2,800sqm on the lower levels and 1,500sqm on the upper levels. 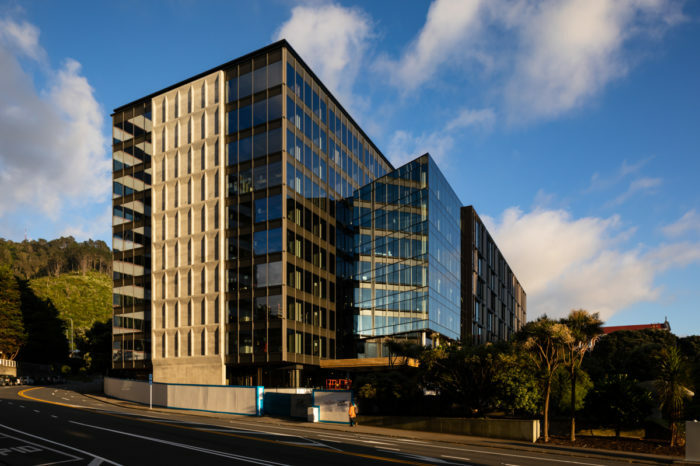 The redevelopment, designed by Warren and Mahoney includes a new facade alongside seismic strengthening to 100% of National Building Standard, new lifting systems and mechanical services and new modern base build fit out. 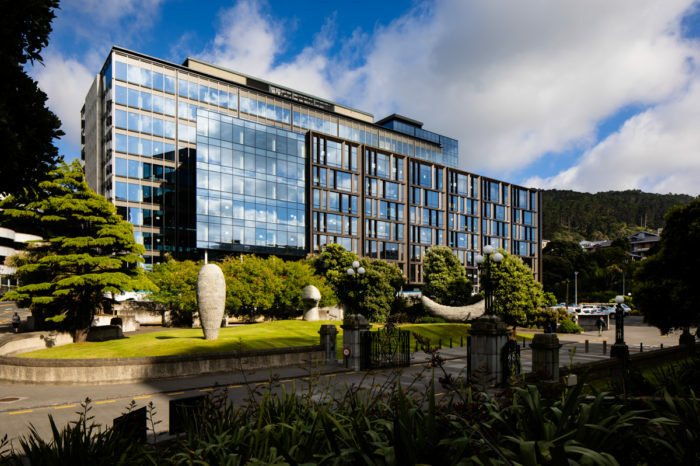 The new lobby and ground floor food and beverage will activate the ground floor space fronting onto Parliament’s sculpture garden creating a destination within the Parliamentary precinct. Learn more about Bowen Campus redevelopment. On the ground floor of Bowen State Building there is over 600sqm of modern retail, food and beverage tenancies. From grab and go and incredible coffee to an all-day bistro we are on the hunt for creative food and beverage concepts as well as convenience and services to meet the needs of workers at Bowen Campus.